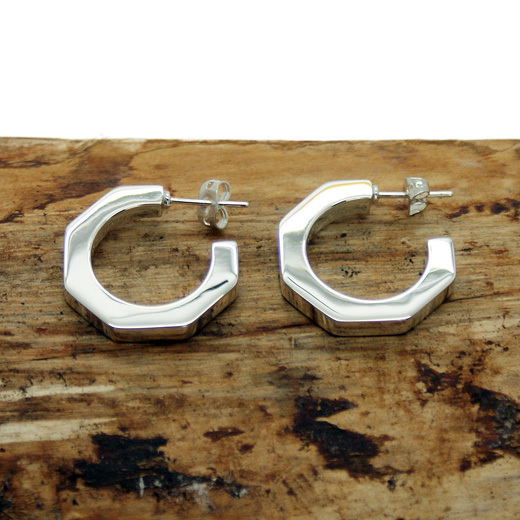 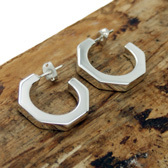 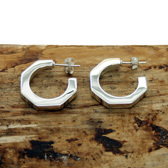 These chic and unusual earrings from Pura Mexico have a solid outline, seven sides and a highly polished finish. The handcrafted earrings are made entirely from 925 sterling silver with a post and butterfly back making them suitable for pierced ears. 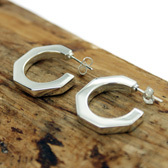 These earrings give a feminine uplift to any look.